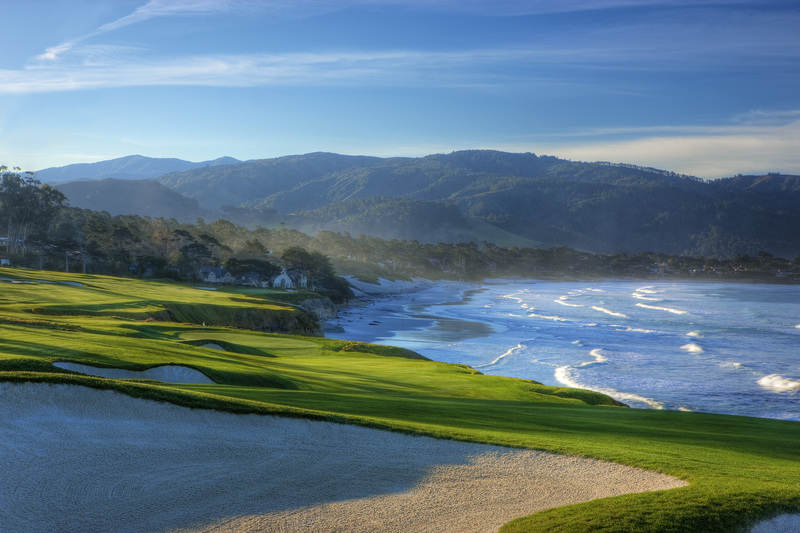 We had a fun contest on Facebook over the past 18 weeks, where you helped us select the Pebble Beach Resorts Dream 18. 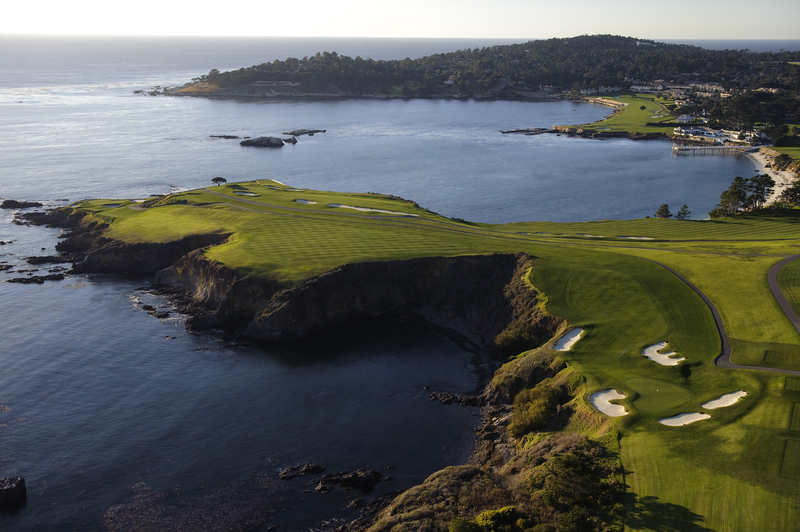 Each week, we picked a hole number, and asked to to vote for your favorite choice from our four championship courses: Del Monte Golf Course, Pebble Beach Golf Links, The Links at Spanish Bay and Spyglass Hill Golf Course. The results are a course we would love to play: a par-71 with seven par-4s, six par-3s and five par-5s that measures 6,639 yards from the back tees. The first hole at Spyglass Hill is one of the great reveals in all of golf: after you thread your tee shot through a chute of trees and out toward the distant Monterey Bay, the downhill fairway banks hard left to unveil a green sitting above an island of bunkers, and a never-ending view of the Pacific. 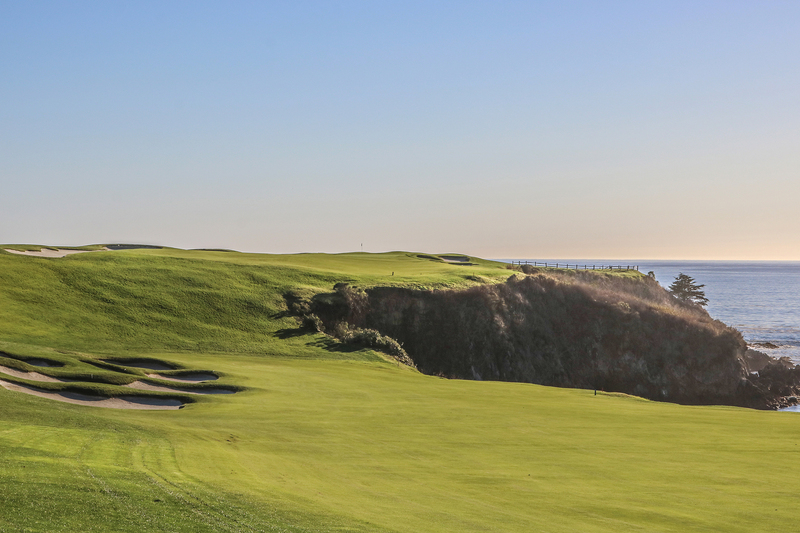 It’s a spectacular introduction to the unique dunes-laden first five holes at Spyglass Hill. 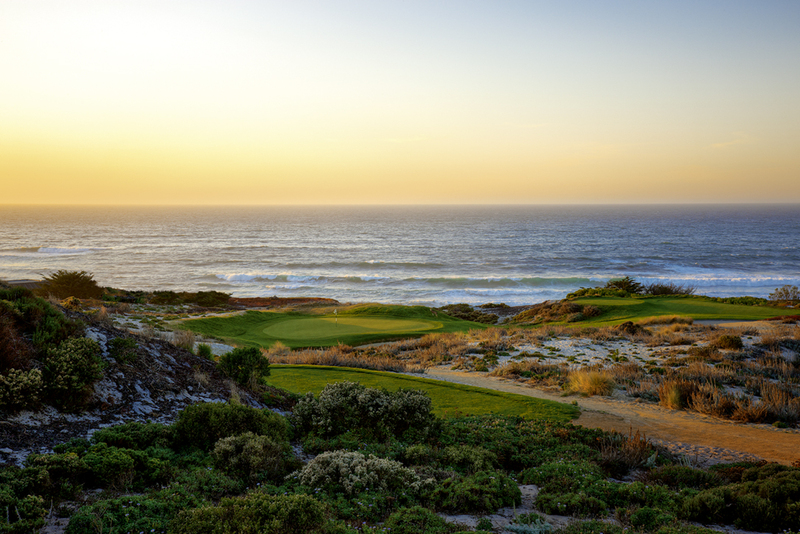 Spanish Bay was a hard-luck runner-up, with its scenic par-5 that sends you straight to sea. This gorgeous par-4 side-winds its way up a giant sand dune, with the second shot playing an additional 15 yards, plus whatever the wind is doing. The skinny green offers an additional challenge, as it is set diagonally into the hill, and requires a precise yardage for each line of play. 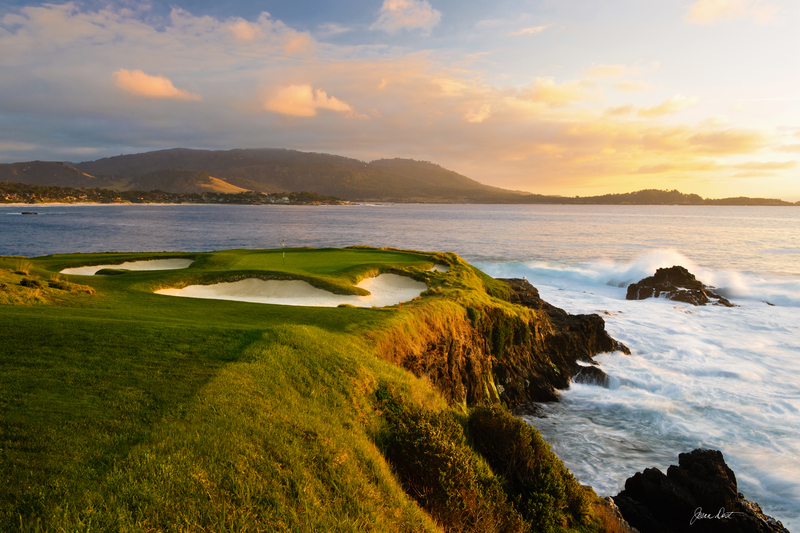 But once you reach the green, enjoy one of the prettiest panoramas in Pebble Beach – Cypress Point to your left, Nos. 3-4-5 at Spyglass Hill snaking through the sand dunes below, Monterey Peninsula Country Club out in the distance, and Bird Rock straight ahead. Pebble Beach Resorts also has cute, short par-4s for its second holes at Del Monte and Spanish Bay. A favorite location on Instagram, the third tee box climbs halfway up a giant sand dune, setting up an approach that plays 10-15 yards downhill into a postage stamp green surrounded by trouble. Adding an extra element of danger is an ocean breeze that magnifies the spin of any offline shot and bats balls into the surrounding dunes. 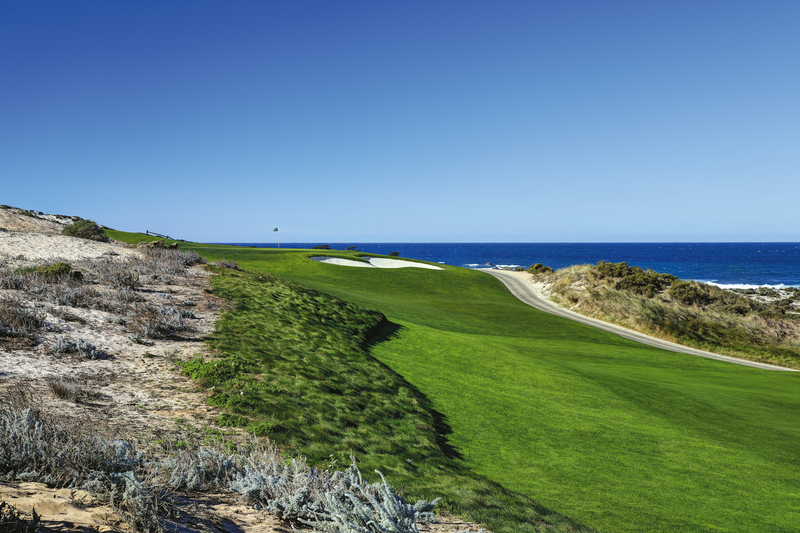 The fun third hole at Spanish Bay also sends your tee shot at the ocean, but with a choose-your-own adventure twist. Pick which pot bunker to carry to set up an easier approach into the par-4. Robert Trent Jones Sr. called this par-4 his favorite he’s ever built. You must carry a sea of sand dunes to find the fairway, and then park your approach shot on a green barely wide enough to fit a car. Sunken between two sand dunes, the fourth green is 55 yards deep, but just 30 feet wide at its most forgiving. It’s one of a kind. It takes a special design to beat out the setting of No. 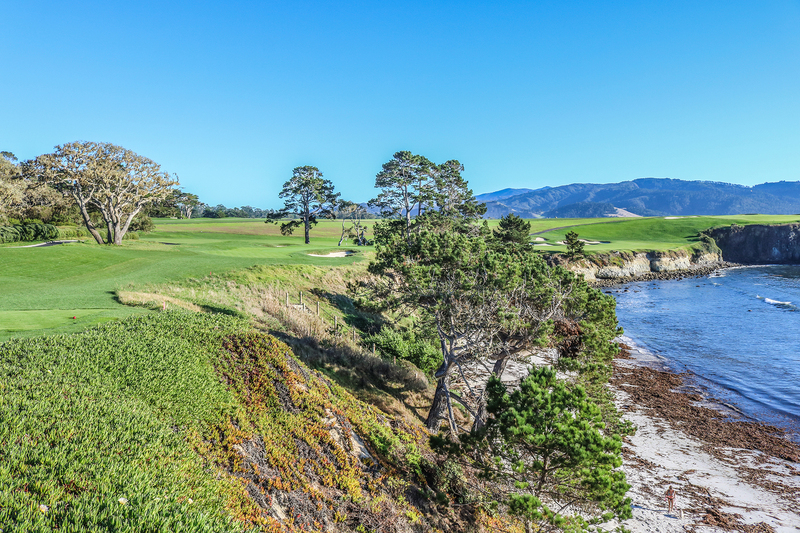 4 at Pebble Beach, which is the course’s formal introduction to seven straight spectacular seaside holes hanging over Stillwater Cove and Carmel Bay. Jordan Spieth calls this hole “one of the best in the world,” and it’s tough to play devil’s advocate. This gorgeous par-3 designed by Jack Nicklaus opened for play in 1998, and favors the Golden Bear’s patented high fade into a green pressed precariously against a cliff to the right. Another deserving par-3 is No. 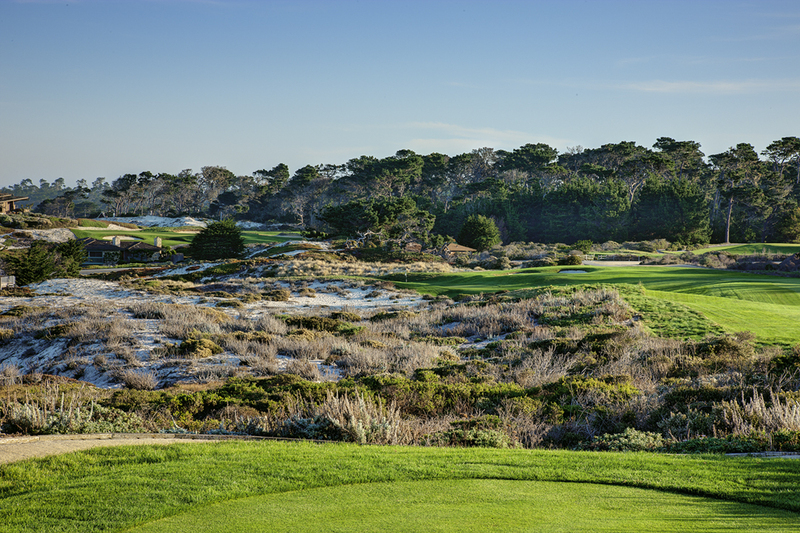 5 at Spyglass Hill, which takes advantage of its dunes setting for one last hole. And No. 5 at Spanish Bay, the No. 1 handicap, presents the quintessential risk-reward decision you face throughout your round. The redesigned fairway bunkers and re-positioned tee boxes aim your drive directly at the ocean, before you must carry a steep cliff that rises out of the sea. 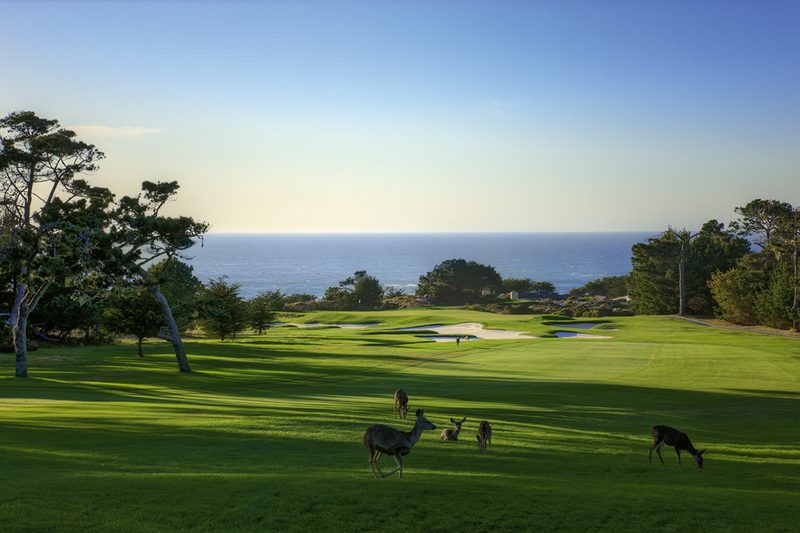 But once you hike up the mountain you just hit over, you feel like you are standing on top of the world, with views of Carmel Beach and the rest of the front nine to your left, and Stillwater Cove and Nos. 17 and 18 to your right. The uphill sixth hole at Spyglass Hill that marches away from the ocean and into the woods stacks up as one of the toughest holes on the PGA TOUR year after year. It’s the shortest hole on the PGA TOUR, but the wind at the tip of Arrowhead Point is legendary. Sam Snead chose to putt off the seventh tee rather than send a tee shot into the teeth of a wicked wind. (It was reported that he was the only player to make par on the hole that day.) Bel-Air pro Eddie Merrins actually aced the hole during the Bing Crosby, but needed a 3-iron to do so. Eventual champ Tom Kite famously chipped in for birdie during the final round of the 1992 U.S. Open after his 6-iron missed the green. Of course, when there’s no wind, it’s a benign downhill shot that plays just 85 yards. The seventh hole at Spanish Bay is a dangerous par-4 intersected by marshland, but the green is beautifully framed by 17-Mile Drive. And No. 7 at Del Monte is a stout test, with a drive that must clear an oak tree, before you hit into a devilish three-tiered green. A blind tee shot over an aiming rock sets the stage for what Jack Nicklaus calls his favorite second shot in all of golf. A perfectly placed drive leaves 170 yards in, but you must carry an 80-foot chasm to a tricky Alister MacKenzie-designed green fortified by five bunkers. No. 8 at Spyglass Hill doesn’t even measure 400 yards, but the twisting sidehill hole is consistently one of the toughest the pros play each year at the AT&T Pebble Beach Pro-Am. And No. 8 at Spanish Bay is a pretty par-3 over water that parallels 17-Mile Drive. 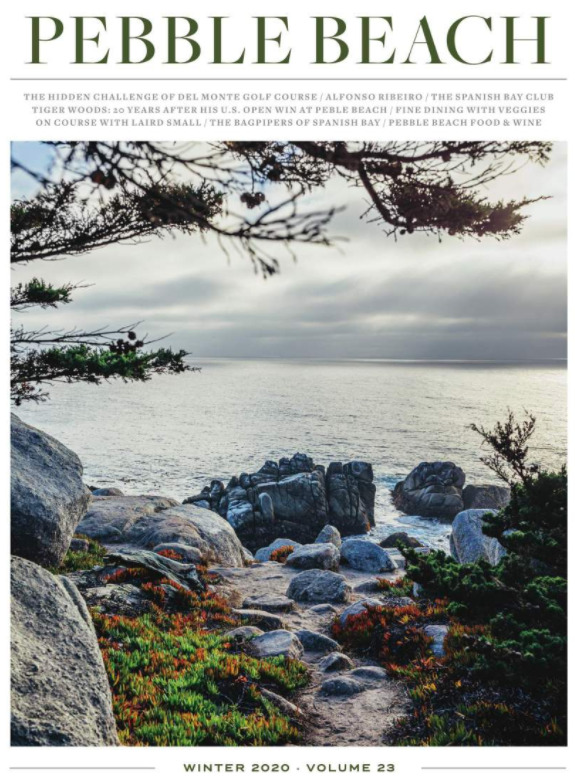 The silhouette of a golfer playing from the crest of the ninth fairway against the eye-popping white sand of Carmel Beach is a photographer’s favorite shot during the AT&T. It’s not always the favorite shot of golfers through. A downhill lie from more than 200 yards away to a 23-yard-deep green surrounded by a gaping bunker and beachside cliffs is as tough as it gets. Only two of 40 pros hit the green in regulation during the first day of this year’s AT&T. The eighth and ninth holes at Spyglass Hill rival Pebble Beach for the toughest finish on the front nine.